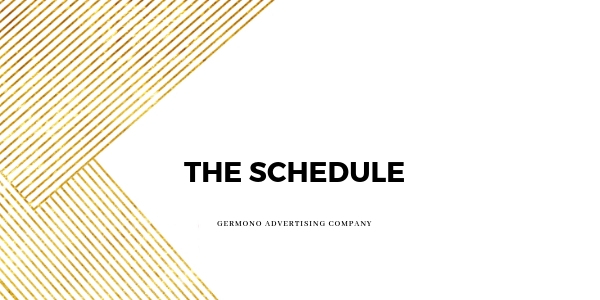 I’m counting down to the 2 year anniversary of launching Germono Advertising Company and there’s so much in store for 2016! When I have something exciting to share, it feels like I have a bunch of electricity tightly wound up inside…and I just want to blurt it out! I’ll be announcing some very exciting news on the final day of the 2 year anniversary countdown… so you’ll want to stay tuned. And lastly, with this being the time of the year for reflection and all…I like this countdown because by doing so, I’m able to take the time an entrepreneur needs for development. Note: I’m foreshadowing here. This past year, I worked out some of the kinks that one experiences when they launch. I still operated heavily from a bootstrapping standpoint- handling my own bookkeeping, new business efforts, retention strategies, and client campaigns, but I worked a bit more fluidly and things began to fall into a schedule. I started to break up my days. I mean all of them…Monday-Sunday because a business owner does not take a day “off.” They might shut down a bit, but even when I’m being a rockstar, I’ve got my mind on my money and my money on my…well, you get the point. I started to dedicate specific days to face-to-face appointments, specific days to housekeeping, and specific days to organizing. There were times for: returning calls, sorting emails, finishing tasks that were on the back burner, organizing folders, sifting through papers, wrapping up meeting notes, sorting business cards, going through stacks of market and client research, blogging, reading industry-related articles, and backing up my computer. I’m always curious how others do this- the techniques vary so much! Feel free to share your strategy for staying organized and keeping chaos at a dull roar. I am still experiencing so much growth, there are times I feel as if I am swimming and unable to surface. But, this feeling just became a bit more comfortable this past year and I’m having even more fun than I did in year 1…so I’m doing something right.